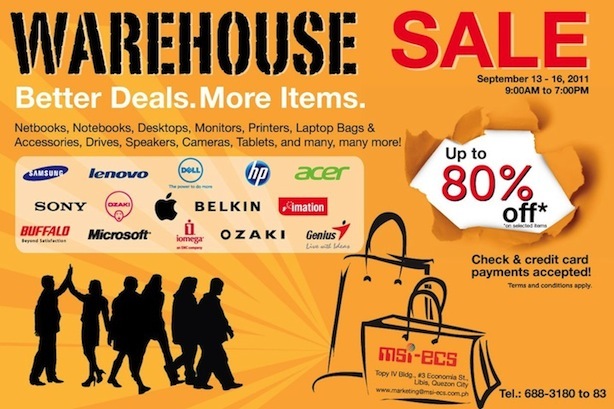 The sale will run from September 13 – 16 at MSI-ECS HQ at no. 3 Economia St., Libis in Quezon City. referbished units and .